Being based in a gem centre like Jaipur, GTL is exposed to a range of unusual and bizarre gem materials submitted for identification. Because of the dedication and passion our staff gemmologists possess, these gem materials undergo a thorough research for their complete understanding. The results of such research are shared with the world through publications in various highly read gemmological journals of international repute. Recently, during an on-site testing assignment, the author was taken by surprise when he was setting up the equipment. While opening a fresh bottle of RI Contact Fluid, a solid object was seen attached to the brush end of the fluid applicator. Initially it was thought to be impurities deposited on the brush. Therefore, the applicator was taken out very gently so that the attached material could be removed without contaminating the fluid. The author was surprised when the attached solid material was revealed as a cluster of large, bright yellow, bi-pyramidal crystals. These were immediately assumed to be sulphur. 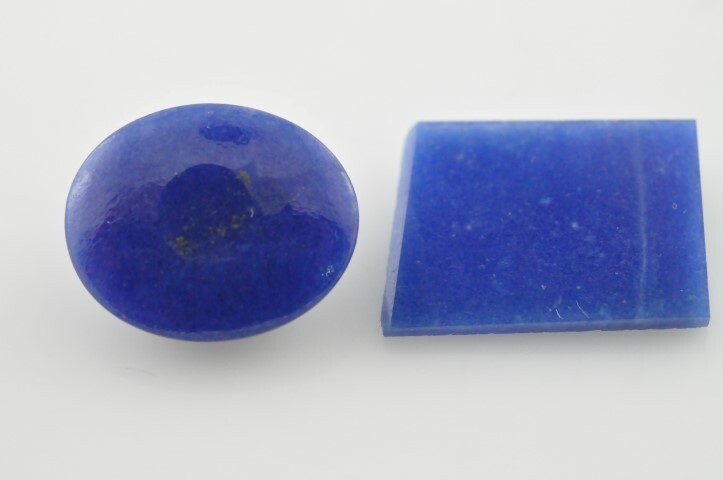 The Gem Testing Laboratory of Jaipur, India, received for identification an opaque blue specimen, submitted as sapphire. 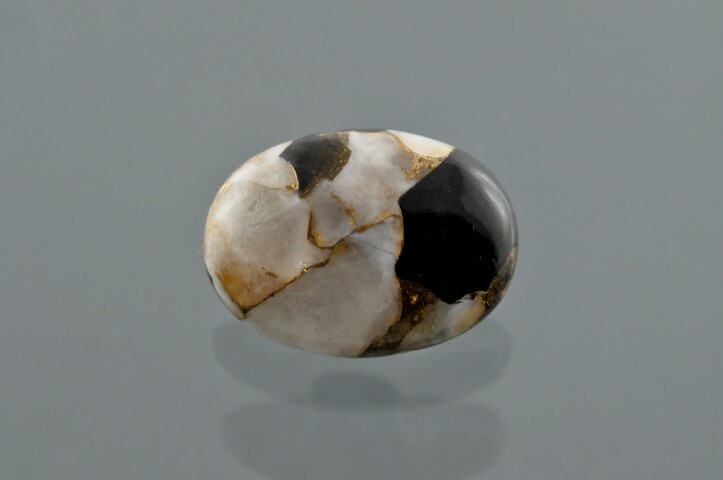 The 5.16 ct cabochon, measured 12.59 x 10.28 x 4.71 mm. Examined under a fibre-optic light source, the specimen displayed an uneven blue colouration associated with dyed materials possibly dyed quartzite; however, the specimen was identified as a rock mixture of dumortierite and quartz. 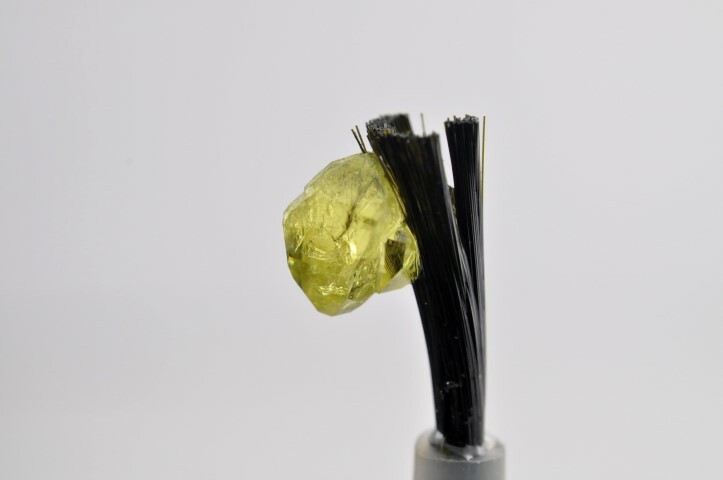 While visiting a local dealer, this contributor encountered parcels of rough and faceted scapolite that appeared strongly zoned to the unaided eye. They were reportedly mined from Karur in the southern Indian state of Tamil Nadu. From the parcels, one rough and one faceted specimen were obtained. 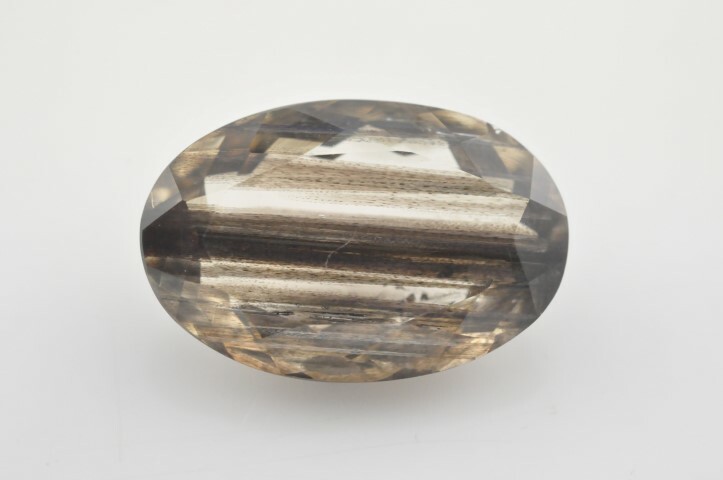 The faceted stone was a 9.10 ct oval mixed cut, while the 4.18 g rough specimen was a tetragonal prism with partially broken bipyramidal terminations. Both had a pale yellow color with strong brown zones.